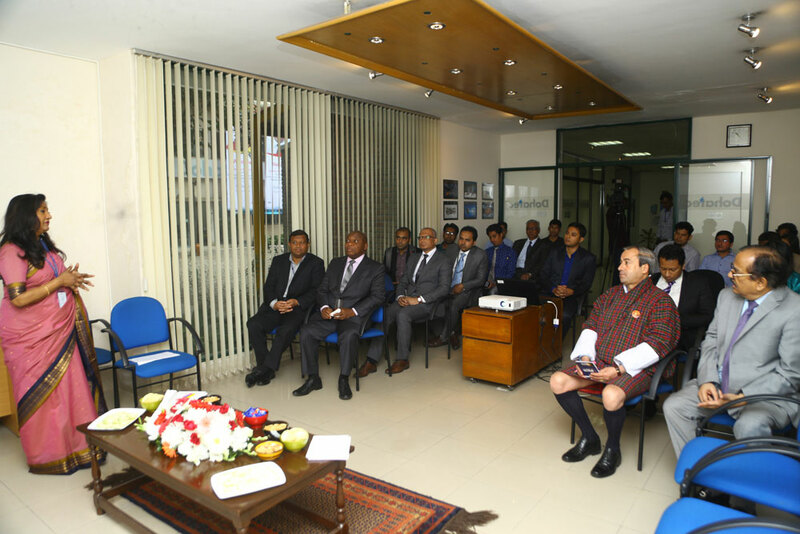 Dohatec New Media received the Ministers visiting Bangladesh in connection with Digital World 2017 at 10:30 AM, on Friday, 8 December 2017 at their facility at Doha House, in Paltan. Lyonpo Dina Nath Dhungyel, Minister, Ministry of Information and Communications, Royal Government of Bhutan, Mr Thoriq Ali Luthfi, Deputy Minister, Ministry of Defence and National Security, Republic of Maldives, Mr. Dieudonné Kalombo Nkole Badibanga, Senior Adviser to the Prime Minister, Congo DRC. Ms. Luna Shamsuddoha, Chairman of Dohatec New Media welcomed and thanked them for coming to Bangladesh. She said we were grateful for the leadership of the Hon’ble Prime Minister in the Digital Bangladesh initiative that had enormous successes. She said “Your kindly visiting software development companies is a rare honor and privilege”.